f The Bugbytes: Birthday Fun with Create a Critter! I am so super excited to be today's guest designer on Tuesday Treats! I had so much fun last year and am so happy that they asked me to do it again! 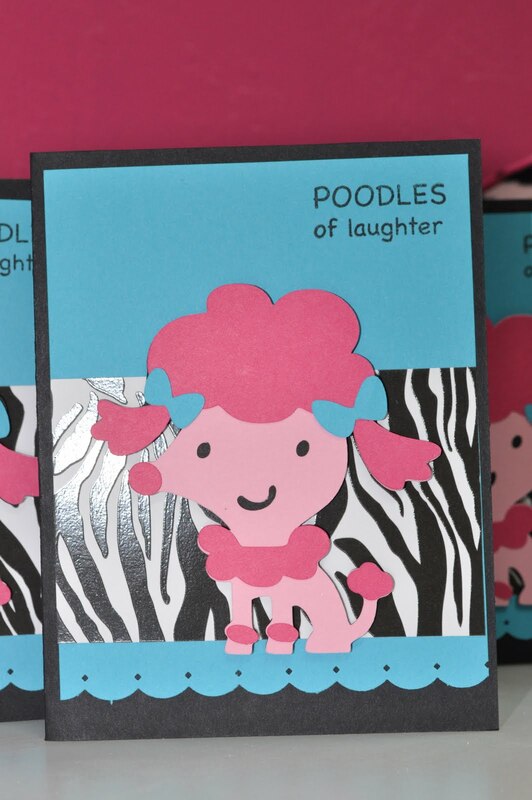 Today's project is a SUPER SIMPLE card I made for my daughter's upcoming 11th birthday party. She is having a "puppy" themed party. Fun! I cut the poodle from Create a Critter at 3 1/2 inches. The layer was cut at 4 x 5 1/4 and then I punched the bottom. The black base was cut at 5 1/2 x 8 1/2. The zebra paper was cut at 4 x 2 1/2 inches. 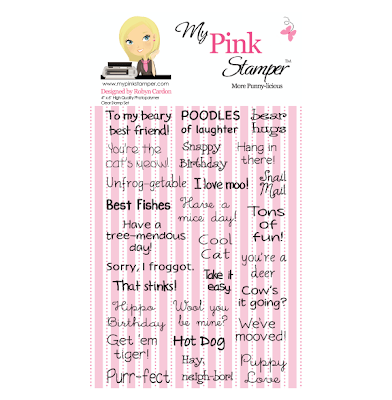 The Poodles of Laughter is from More Punny-licious by My Pink Stamper Original Stamps. One of my favorite sets! Megaly mass produced these cards!!! Thank you so much for letting me share with you today! Have a wonderful week everyone!! These are adorable! Thanks for sharing!! 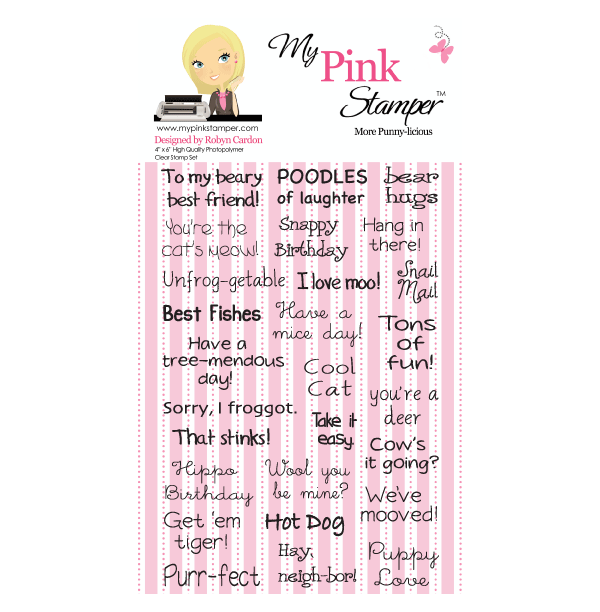 That stamp set is soooo cute! the invites are fantastic...but boy oh boy is that a lot of work! These are beautiful! Thanks for stopping by my blog...I am now following you! :) Your blog is beautiful!